Warm apartment in pure mountain style arranged on two floors and composed on the first floor of a living room with fitted kitchen and dining area, single sofa bed and 1 single bed and a balcony. The second floor offers a room under the roof with a matrimonial bed and a bathroom. Ideal for families and couples looking for a romantic and welcoming atmosphere. The residence Le Petit Coeur, of which the villa is part, is an old countryside farmhouse existing since the first years of the eighteenth century. With enthusiasm and foresight, the owners - who are also distant cousins - have transformed a modest home into a charming residence and trust by choosing us as managers. We have 4 duplex apartments (on 2 levels): Apart. The Rain - Appart. The Cloud - Appart. The Snow - Appart L'Arc-en-Ciel (has 2 rooms). They are all on the 2nd floor of the residence and are accessible either by elevator or by the external access stairs to the 2nd floor. 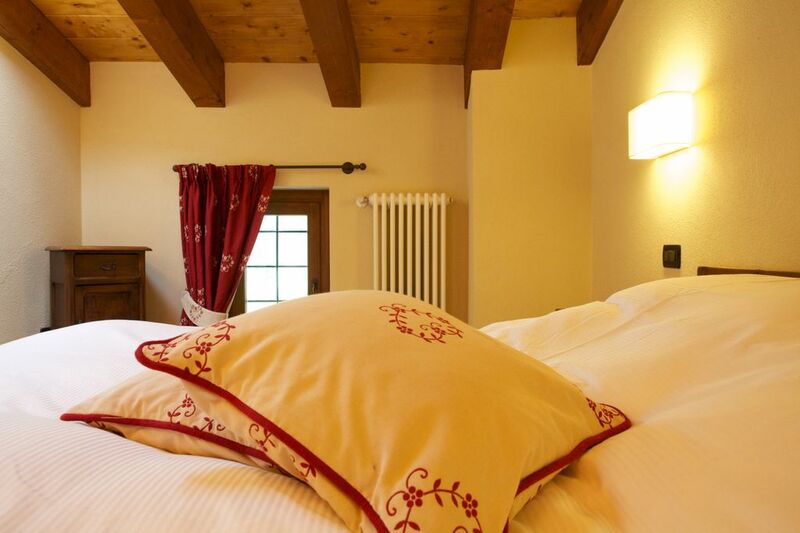 If you wish to specifically choose your accommodation we invite you to visit our website lepetitcoeur. it where it is possible to book online at the best price because without intermediaries. The garden is available and reserved for the occupants of the residence "Le Petit Coeur". Private parking and ski / bike storage, a tavern with bar service for breakfast or an aperitif, are additional comforts available and a second green area equipped to allow children to play with ease. freedom. On request, breakfast at € 10,00 / pers.